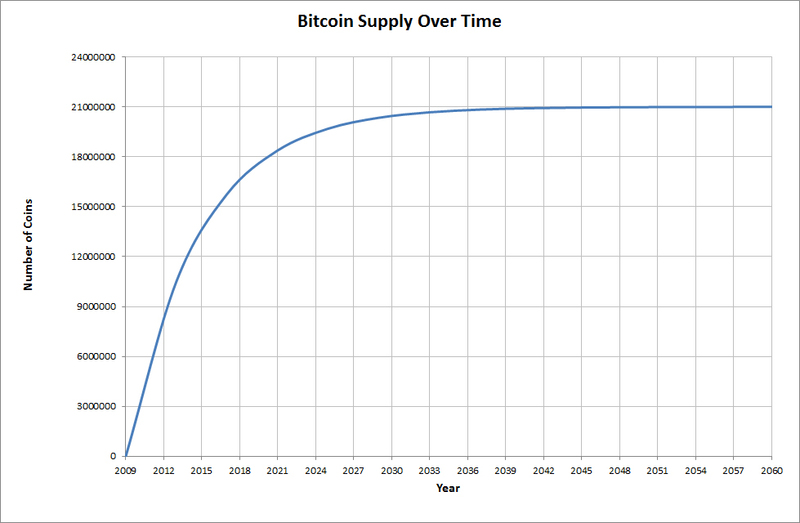 Whilst the supply of Bitcoins is predictable and limited, Bitcoin has the advantage of being effectively infinitely divisible. Currently, one bitcoin is divisible to 8 decimal places, or 100 million “Satoshis” – similar to how a dollar is divisible to 2 decimal places, or 100 cents. This means that there are 2.1 quadrillion (21 million x 100 million) Satoshis available. There are enough “bits of bitcoin” for everyone on the planet to each hold 200,000 Satoshis. So what does this mean in the event that Bitcoin is used widely and internationally? Currently, the M3 Global Money Supply is about USD$60 trillion. Assuming Bitcoin could ever capture the global money market, dividing this number by 2.1 quadrillion puts the value of one Satoshi, the current minimum unit of value, at USD$0.029, i.e. about 3 cents. To put things into perspective, 1 Satoshi is currently worth USD$0.000005 – which in the scheme of things is almost 6,000 times less than USD$0.029, so there is still plenty of growth potential before divisibility becomes a problem. Should the day ever come where the entire world is using Bitcoin to transact and invest, and 1 Satoshi becomes worth too much to be a practical minimum unit of account, then the protocol can be updated by consensus to increase divisibility to, say, 10 decimal places without diluting the value of a Bitcoin. For example, 1 Satoshi will still be worth USD$0.029, however, you would now be able to buy 0.1 Satoshis for USD$0.0029 or 0.01 Satoshis for USD$0.00029, and so on – too easy! The more likely scenario is that we will not need to worry about divisibility for at least another 30-50 years. Hewitt, M., 2008. Global Money Supply – 2008.